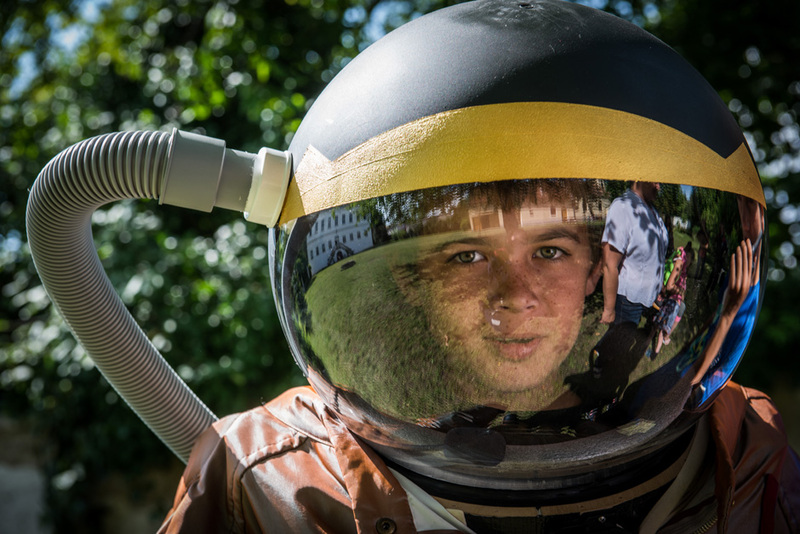 Traditionally, on the last day of the year the Austrian Space Forum looks back: 2014 was a successful year! 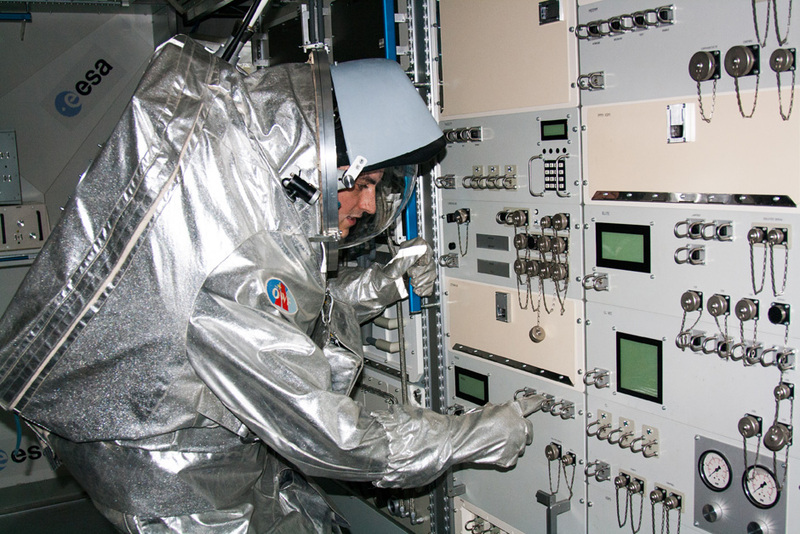 Besides many school activities all across Austria, research and development activities on our spacesuit simulator Aouda took place, as well as our first participation on a satellite project. One highlight was the presentation of the TiuTerra Crystal in cooperation with Swarovski and the World Space Week 2013 as well as handing over the first crystals. The following arbitrary selected pictures reflect the 2014 OeWF year. 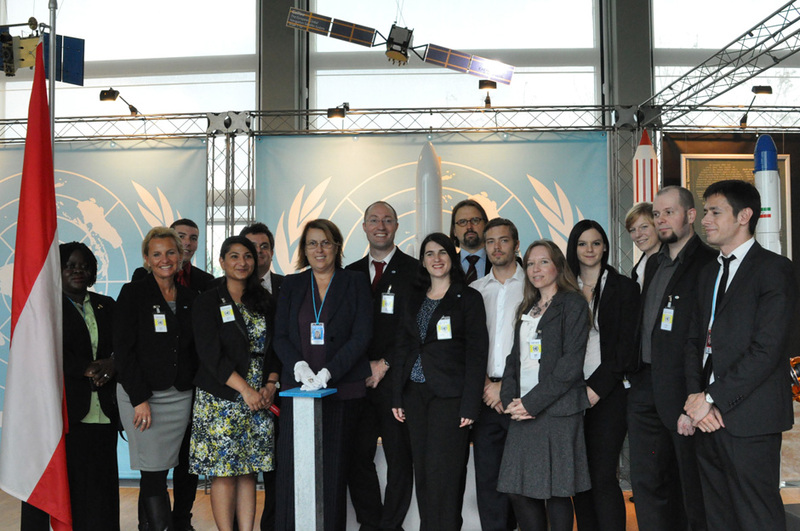 1 OeWF delegation visited the Institute of Astronautics of the University of Stuttgart (IRS). 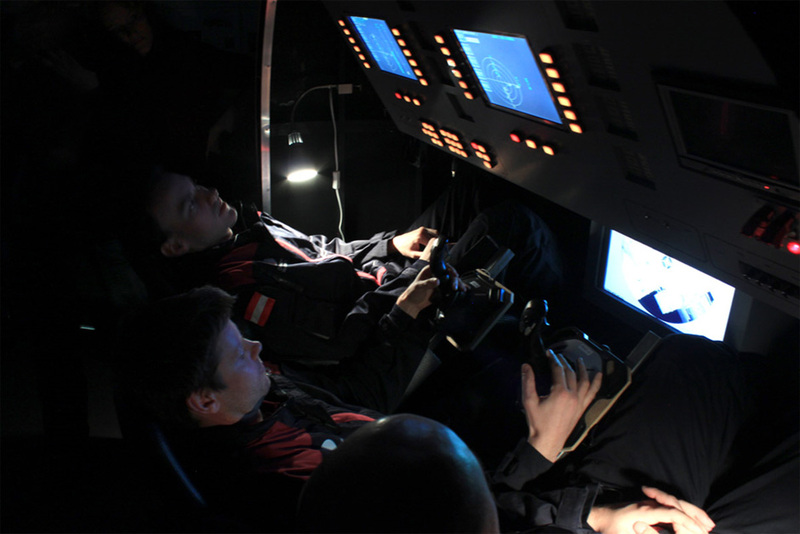 Analog astronauts of the Forum in the Soyuz capsule: Christoph Gautsch (center) right before docking onto ISS, assisted by Ulrich Lugner (left) and Daniel Schildhammer (right). 3Yuris Night 2014: Unveiling for the first time the TiuTerra Crystal and handing over the OeWF PolarStar Award to the two winners. 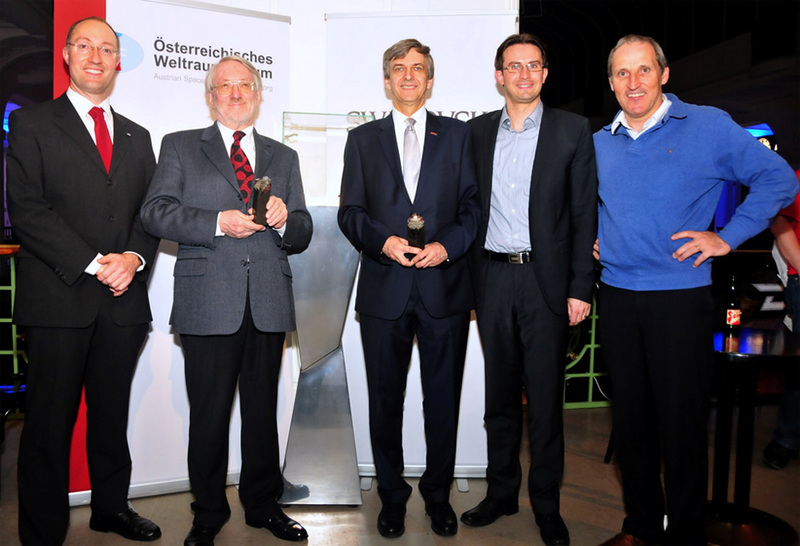 From left: OeWF President Gernot Grömer, both Polarstar awardees Werner Weiss and Otto Koudelka, Swarovski representative Christian Nagele, Astronaut Franz Viehböck. 4Dr. 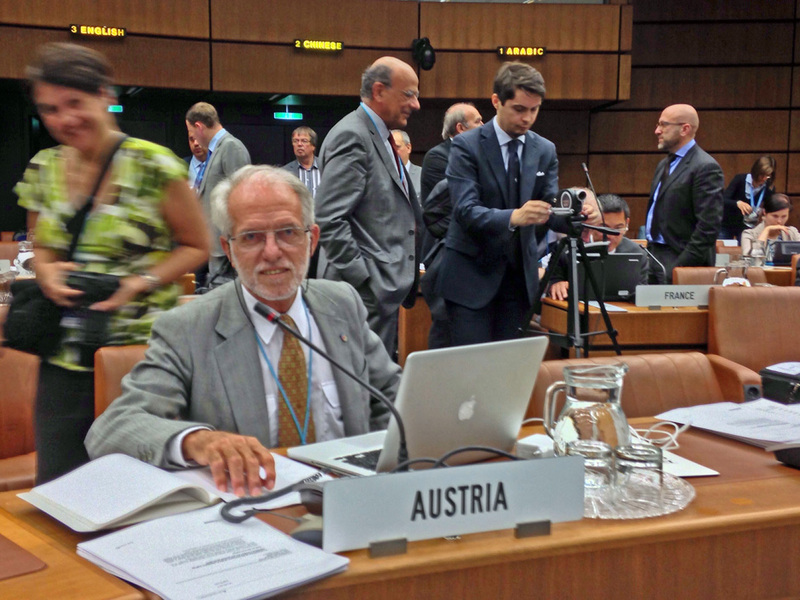 Rudolf Albrecht, OeWF Senior Advisor, is part of the Austrian UN delegation and therefore participates regularly at the Committee for the Peaceful Uses of Outer Space (COPUOS) conferences. 5 Handing over the TiuTerra Crystal to UNOOSA (United Nations Office for Outer Space Affairs). A OeWF & SGAC delegation hands-over the Crystal to UNOOSA director Simonetta Di Pippo. The Crystal will be on permanent display inside the UN space exhibition. 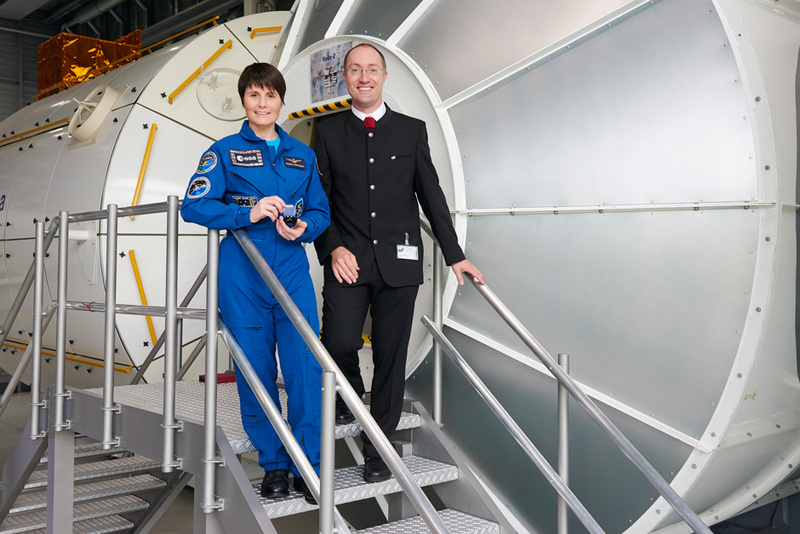 6 Hand-over of the flight crystals: At the European Astronaut Center (EAC) the OeWF hands-over three smaller TiuTerra Crystals to ESA astronaut Samantha Cristoforetti. 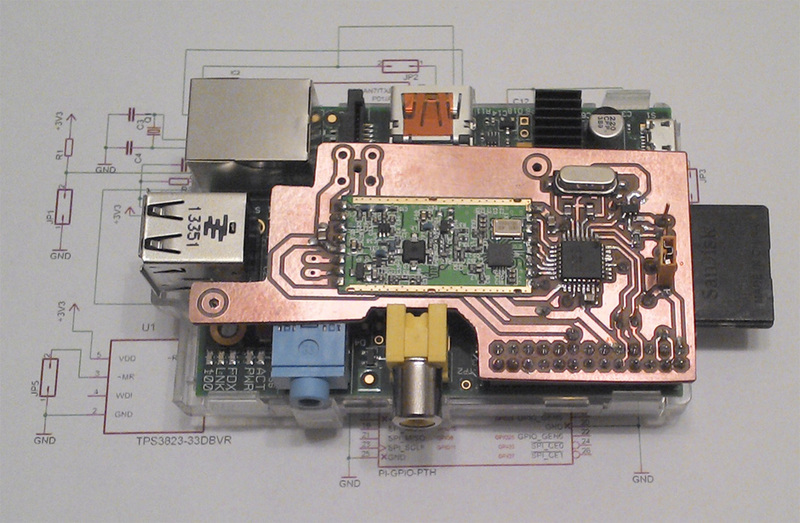 Currently, the crystals are on board of the International Space Station and thus are the first OeWF hardware in space! 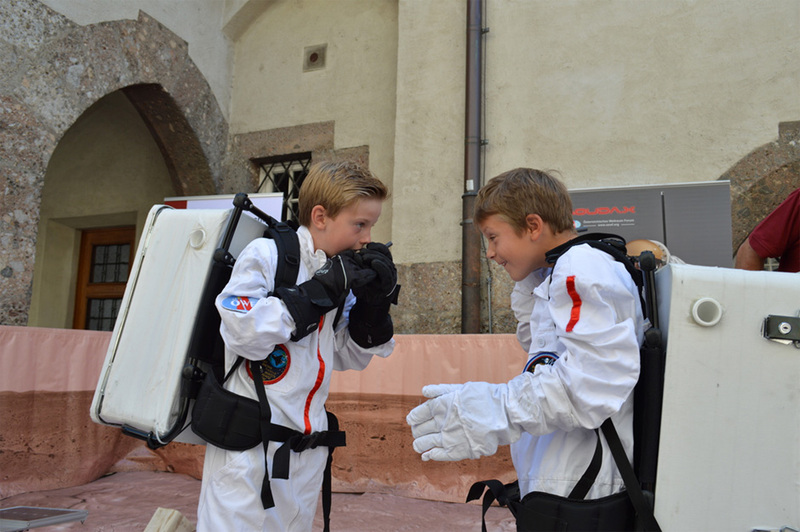 7 Hall goes Space – Space at the medieval town Hall in Tirol. 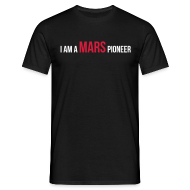 During an afternoon, children and their parents were invited to build water rockets, steer the Mars rover Dignity or try on our kids astronaut suits. 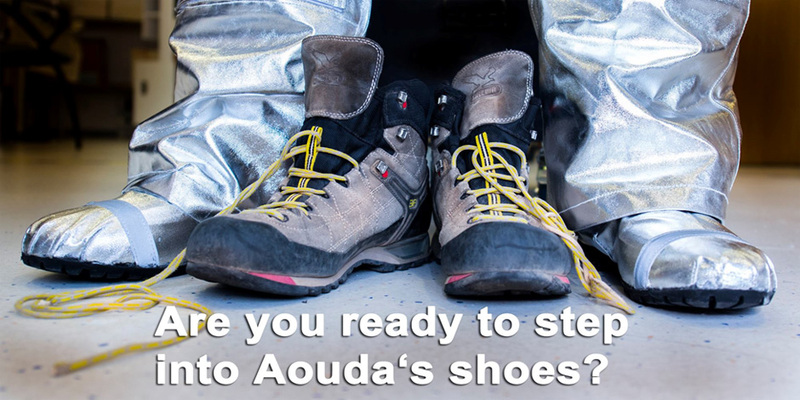 We did many of such and similar activities during the year, inspiring hundreds of children for space. 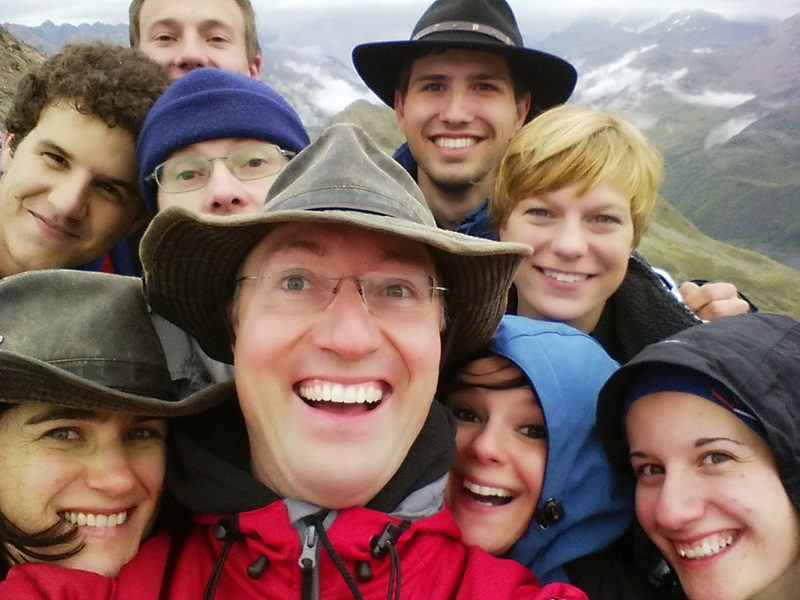 9 Scouting-Selfie: For the AMADEE-15 mission the OeWF spent two weekends on tyrolean mountains. Finally we selected the Kaunertal for the mission as the ice and rock glacier there have similar conditions as on Mars. 10 Each year, OeWF members convene for the „Zieleworkshop“ (strategy workshop) to discuss projects and to socialize. 11 For the first time the OeWF participates in a flight project. 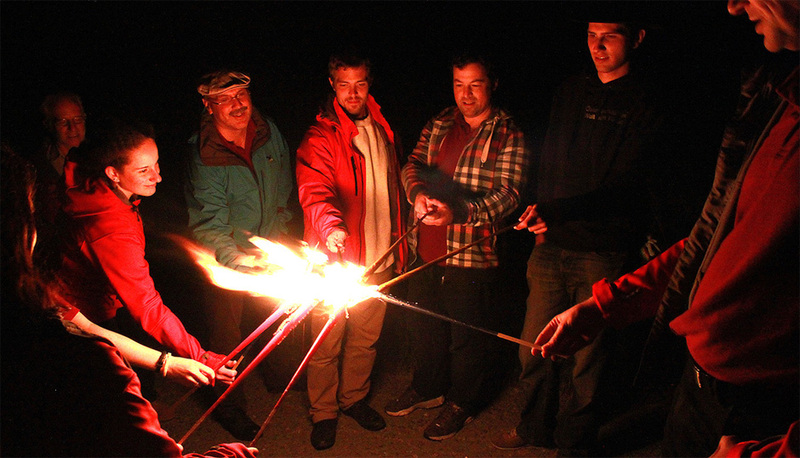 The OeWF balloon team managed by Michael Taraba is in charge of building & testing communication hardware. Details will be presented at an upcoming press conference on 21. January 2015.